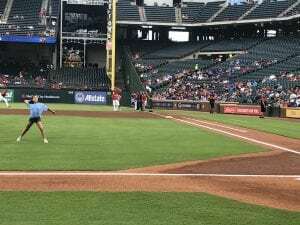 First Pitch Thanks to Ace Hardware! 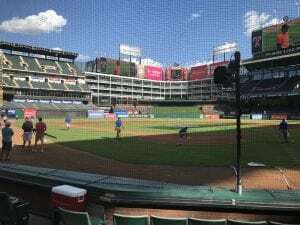 August 23, 2018 | By Fatima V.
Ace Hardware of North Texas reached out earlier this month for the opportunity to have a patient family throw out the first pitch at an upcoming Texas Rangers ballgame. 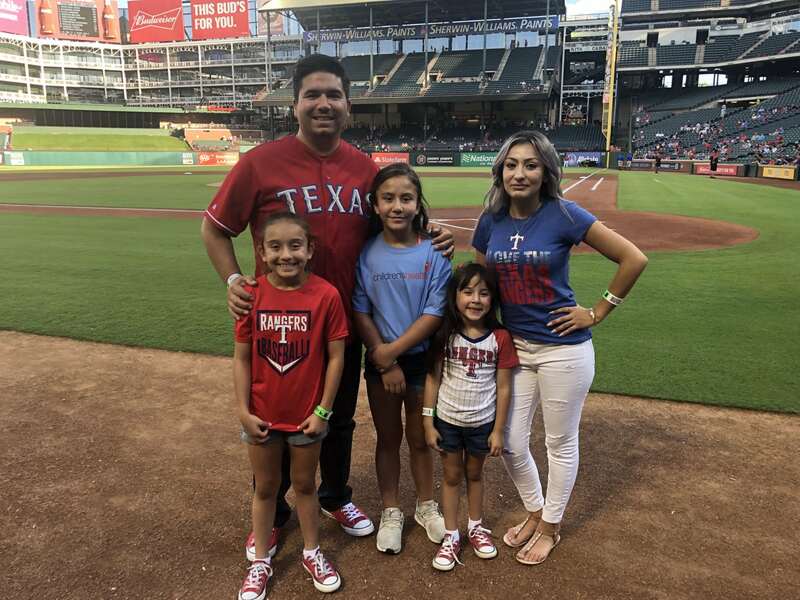 Former liver transplant patient, Kristin Alcaraz, was able to throw out the first pitch earlier this month alongside her parents and sisters. Ace Hardware has been a Children’s Miracle Network partner since 1991. Thank you Ace Hardware for supporting Children’s Health and for making life better for patients and families. Next post: Thank You Panda Express!